49. 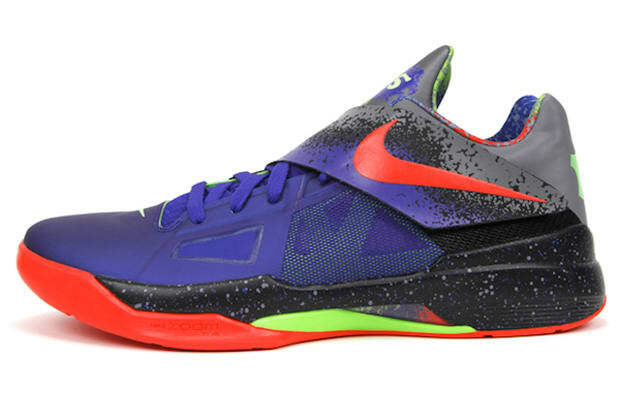 Nike Zoom KDIV "Nerf"
One of the best releases of 2011, the colorway and concept was tough to beat. When shots of the shoe first surfaced, Nike got pressed by fans with little hope that a drop would even happen. A few weeks later the man himself, KD took to Twitter to announce the release and Nike even hooked it up with the matching hoop and ball too. No better way of reliving your childhood dreams than through this sneaker package.